2011 August | Madplanet.com Inc.
On Friday something very strange happened – when I read an email from my company mail server all mails from the INBOX just disappeared. My wife still had hers and so when I checked out the OS X Lion Server I saw that Dovecot’s cur directory was empty but emails were inside a new directory called extra-cur. Because I could not figure out how to transfer back and my mail server setup was screwed anyhow I re-installed and setup the server from scratch again and now mail is working fine again with all bells and whistles. On a side thing I discovered how to setup a web site with WordPress and how to use a Markup plugin (BlogText) so that I can also have my wiki on WordPress as well. This means it would be dead easy to manage my site having only to deal with WordPress. But then I thought that I might want to stop dealing with my own Site and hand this over to a hosting company. Beside the emails there is nothing confidential on our site and emails are not secure at all so handing over the hosting of the site to another company is not only freeing myself from having to deal with setting up my own server but also saves a ton of money. Because we are moving in 2 or 3 weeks I want to make the switch beforehand. This means that I have to convert / adjust our website which needed an overhaul for quite some time, move over the XWiki content which is harder to do because of the number of pages and images and finally to setup the site so that the old links are still working (at least for all the content that wasn’t retired). Working on another WordPress project I finally realized that the link of my theme sends the users to a spam page. Checking out WordPress I could not find the theme anymore and so, I guess, they pulled it because of that. Because I am not going to allow anyone to use my blog to distribute spam I am not going to allow this even with the theme I am using. Therefore I searched for a new theme and found this one which seems to be nice and because I am a little bit in a pickle I went with it. I’ll see this weekend if I am sticking with it and what changes I want to add to it. Today I decided it was time to finally buy BBedit because I have a lot of HTML documents to edit and so this seemed to be the perfect time to do so. But then I had to decide if I buy the regular version or the Mac App Store version. Normally I would prefer the App Store version but then I checked out the most critical reviews and saw that BBedit is sandboxed and so I cannot edit files that need superuser rights. This is the same reason why SuperDuper will never be sold on the App Store and a few other applications. So I decided to go with the regular version and I works great so far. For now I have a little bit of a problem with MarsEdit where I can only edit the 1st document with BBedit as external editor (Edit with BBedit) because in any subsequent edit MarsEdit will not recognize the end of the editing session and so I’ll lose any changes. I reported that to Red-Sweater and hope that I can fix that soon because that would be a great combination. Today I wanted to create a local copy of a remote WordPress blog / site and stumbled over some nasty business with PHP and MySQL. I am not sure how is at fault (probably Apple) but I am not 100% sure. After exporting the site, installing MySQL and creating the wordpress user and DB schema I was ready to install WordPress. So I extracted wordpress, copied into /Library/Web/Data/Site/Default and opened http://localhost/wordpress on my Safari browser. After telling wordpress to create the configuration file I entered the necessary data (schema name, user name, password etc) and hit submit. But I got an error page that it could not connect to the DB. After triple checking the settings I started to google around. After some time I eventually hit this site: http://bustoutsolutions.com/blog/2011/07/29/wordpress-error-establishing-a-database-connection-after-upgrading-to-os-x-lion which told me to look into the /etc/php.ini file and make sure that the mysql.default_socket setting was correct. It was set to /var/mysql/mysql.sock but it turned out that wasn’t the case. So I checked again and found (as said in the blog entry) it under /tmp/mysql.sock. Changing that and creating the wp-config.php file by hand I was able to pass by the setup. After installing the wordpress-importer plugin I was told it could not create the uploads directory under wp-content and after creating it and set the permission to 777 I was able to import the site. Not sure what happened because I could install the blog you are reading now without any issues and without changing the php.ini file. Really strange. I know you only want to make easy money by piggy backing on other peoples work without actually have to work but as might noticed by now I monitor the comments and only approve them when they are valuable to my readers. If you think that just by flattering me you would get passed by me then you are mistaken. So if you want to make money without working for it then look for another victim and get off my lawn. Otherwise I strongly recommend that you use your computer skills for something good rather than annoy me and my readers. Lately I discovered that Netflix beside increasing their fee also added a lot more titles to the streaming catalog. Now it contains the original Enterprise series, TNG, Voyager, the latest Enterprise, LEXX, Firefly and many more. Sometimes the audio of Voyager is out of sync but now I can watch these episodes when I want and when I have time not when the schedule is up or when the broadcast channels decide the are going to show us again. Well, I’m not there were I can get ride of the cable company yet but I did not watch any regular TV for the last two weeks and right now I don’t think I’ll have time soon. So maybe this is the first step of a brave new world without broadcasting and cable companies. I at least will not shed tears when they are gone. Like many of you I was surprised to learn that Maureen was leaving the school but then I was even more surprised about its aftermath. Soon the new school year will start and so I think the School, the board, PTSL and the parents should take this as an opportunity to “reboot” our relationship with our school of choice. Having a head of school for 15 years maybe made us all a little bit complacent and we were all thinking that it will go on like that for another 15 years. But this all came to an abrupt end leaving many of us scrambling to get the school back on track. Currently we have a new head of school and the teachers get ready for the new school year. Even though there is still a lot of work that needs to be done the most important task, that our kids can go back to a fully functional school, is accomplished and we should breath a sign of relief. In todays world where all the information is at our fingertips doesn’t mean we get all the information. Nobody, not even the board, knows everything and so we should be careful with an early judgement. From various discussion with people I have great respect for the work the board has done so far and there is a lot that needs to be done in the future. It doesn’t help our kids if the board resigns, is forced to resign or if the structure of the school is drastically changed. When we expect our kids to behave good at school and that they can discuss an issue in a civil manner then we must show them that we are a role model and that we can iron out our differences and implement changes in the same manner. Now I want to take the opportunity here to thank the board of trustees, the teachers, all PTSL members and involved parents for all their hard work they already put up so far and that I am looking forward to a new and exciting school year. I will be getting more involved in the school than last year and the more parents get involved the better the school will become and so the eduction of our kids. Cheers – Andreas Schaefer Sr.
Today was the day where I finally pulled the plug on our Snow Leopard Server and moved to Lion. I planned this all along as discussed in my other blog post but it took longer than expected and some pieces like the company website and the wiki pages are still down. As usual the big problem was DNS and Mail as it ever was and so no surprise here. Having these problems I am happy that we did a fresh re-install because I don’t want to imagine what happened when the upgrade goes bad. During my migration to Lion using multiple installation on my Mac Pro using different hard disks. 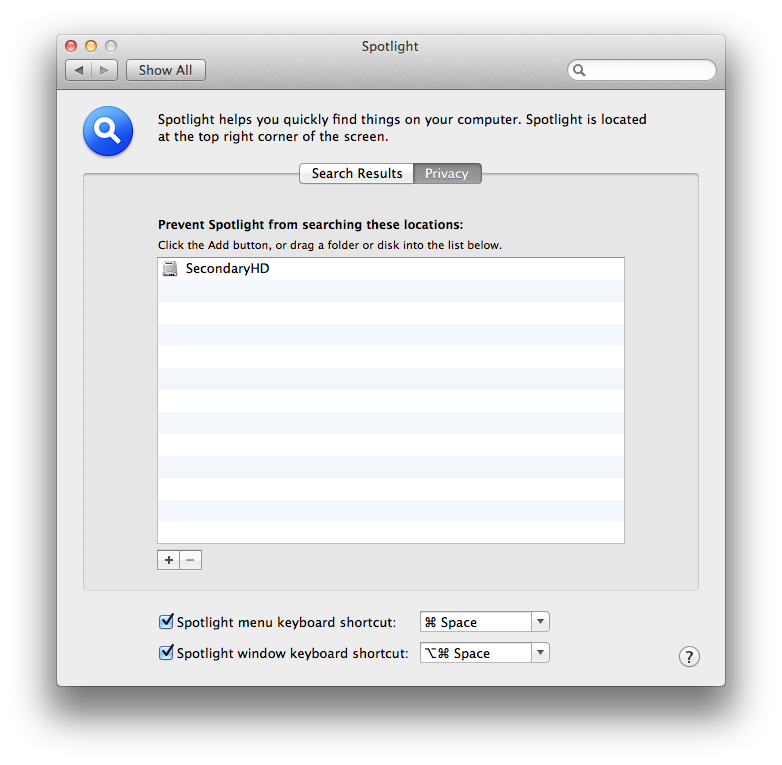 This had some wired side effects on the App Store because Lion is using Spotlight to find installed Apps and is not limited to the boot disk but rather takes all attached disks. This let to a wrong Purchase list in the App Store. For example I had Daisy Disk installed on my first Lion installation but on my current installation I did not. Now the App Store would report the App as installed and so I could not install anymore. The bad thing was that I could not just copy over the App from the other Lion installation because DaisyDisk needed some additional libraries which are only installed during the installation process (I guess). As far as I can tell you can remove the partition from this list again as soon as you installed the Apps but your milage might vary. BTW, I also noticed that any partition with Apps from the App Store will interfere with your purchase list even if that partition is a Snow Leopard installation. Now you should have the post ordered by the modified date and whenever you do update a post it will be listed at the top. Just keep in mind any update no matter how small will do that.